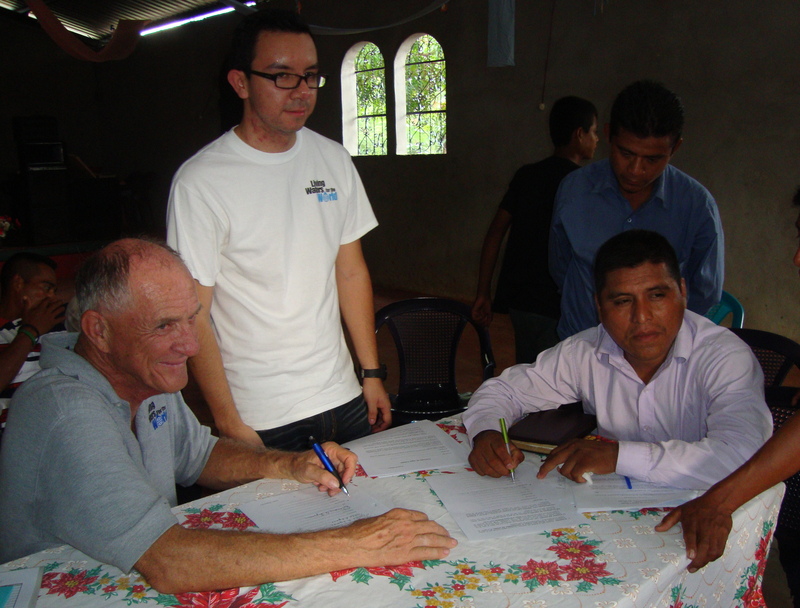 A team from the Presbytery of Denver signed covenants for water projects at three churches in northern Guatemala. Water purification systems will be installed as part of the ministry of Living Waters for the World (LWW). 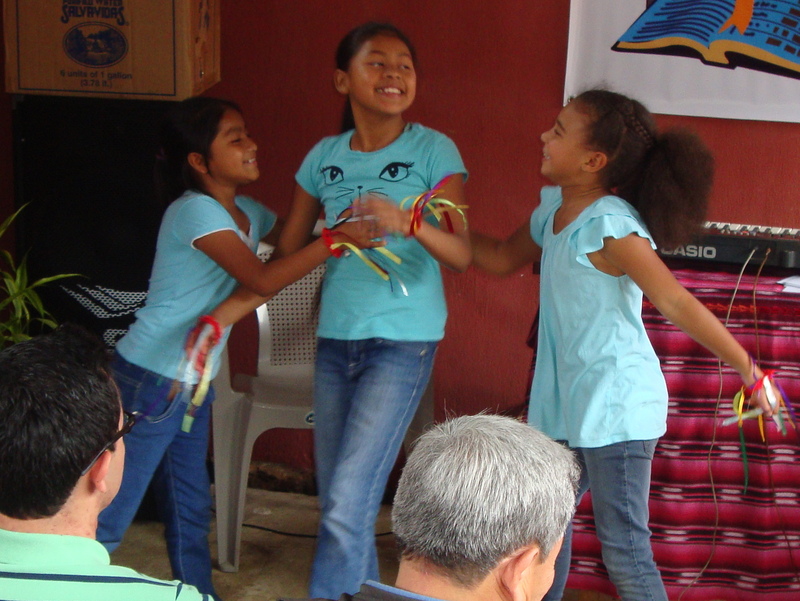 Two of the churches are in the Franja Transversal del Norte Presbytery, mission partner with Denver Presbytery, and the other in Cobán. 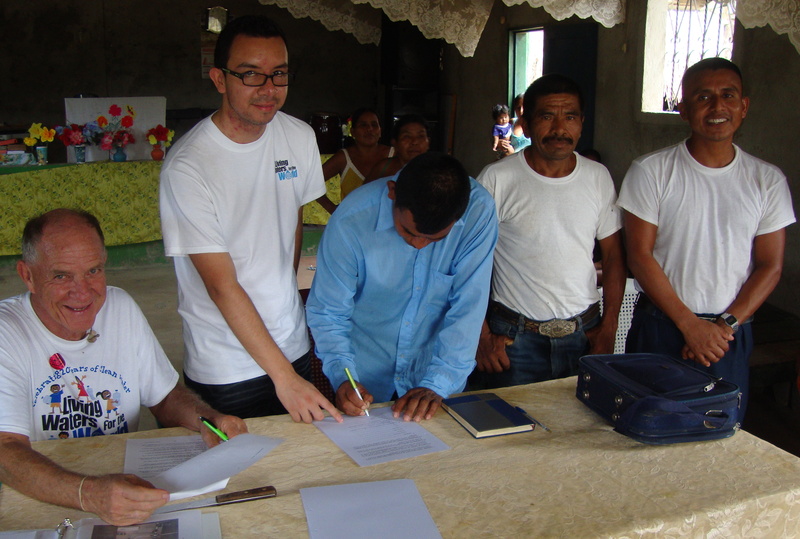 The Presbyterian Church in the village of Bethania signed the first covenant (see photo). Although this village receives water from a nearby petroleum company, an analysis showed contaminants. Training and negotiations were headed by Duane Lyman and Pablo Perez, the new LWW coordinator for the IENPG. Once again, Bethania Pastor Mateo Coc Coc shepherded us from place to place during out time in the presbytery. The 2nd covenant was signed with the Presbyterian Church in Tres Rios, along the banks of the Chixoy River (see photo). 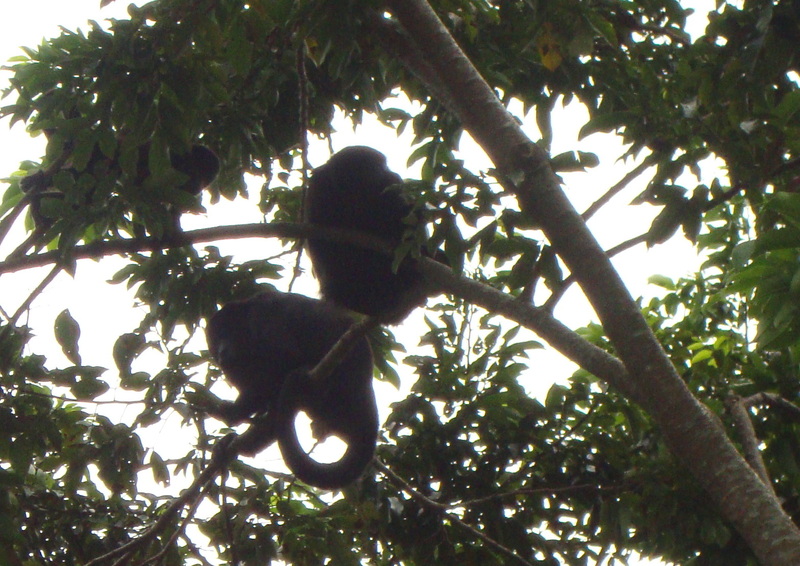 After a boat ride across the river, we were greeted by a tree full of monkeys (see photo). This village has lost its two latest crops due to heavy rains flooding their fields. Nonetheless, church leaders expressed faith in God and excitement about what the water system will mean for the community. They agreed to dig a new well and construct a building to house the system, with Denver partners providing materials. In a meeting with the presbytery´s Executive Committee, discussions were held about support for theological training, agricultural courses, well digging projects, and legalization of church property. 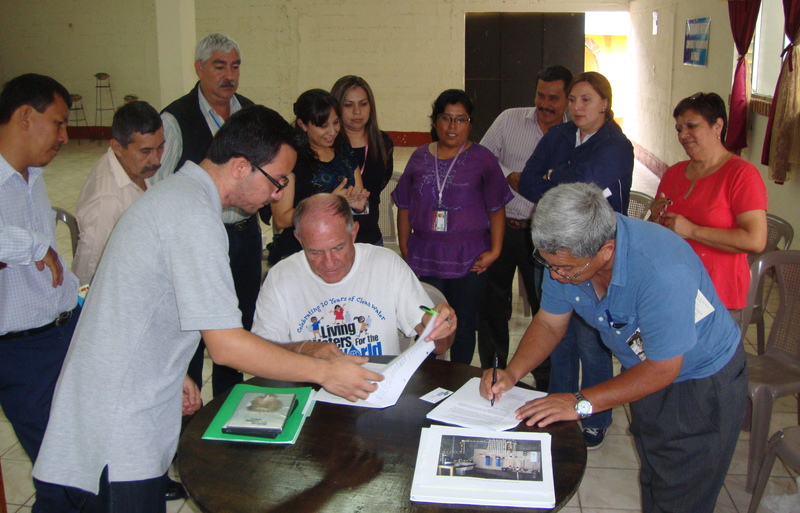 The 3rd covenant was signed by a committee representing Presbyterian Complex in Cobán (see photo). 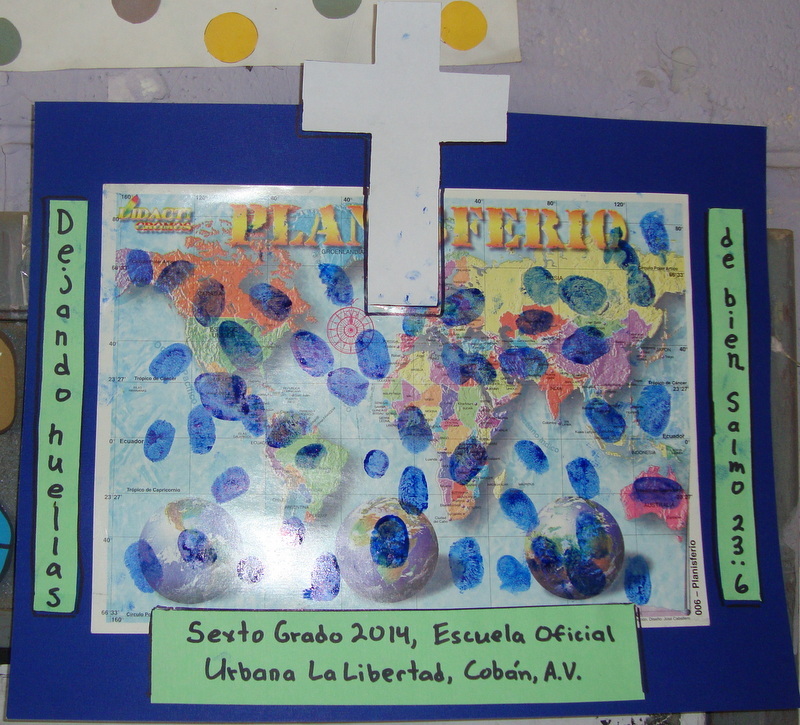 This project will be jointly operated by the La Patria Norte School and the Presbyterian new church development. The church in Coban is in its early stage. On Sunday the Denver team attended worship with the new Presbyterian congregation, and Pastor Loye Troxler delivered the sermon (see photo at top of liturgical dance by children). 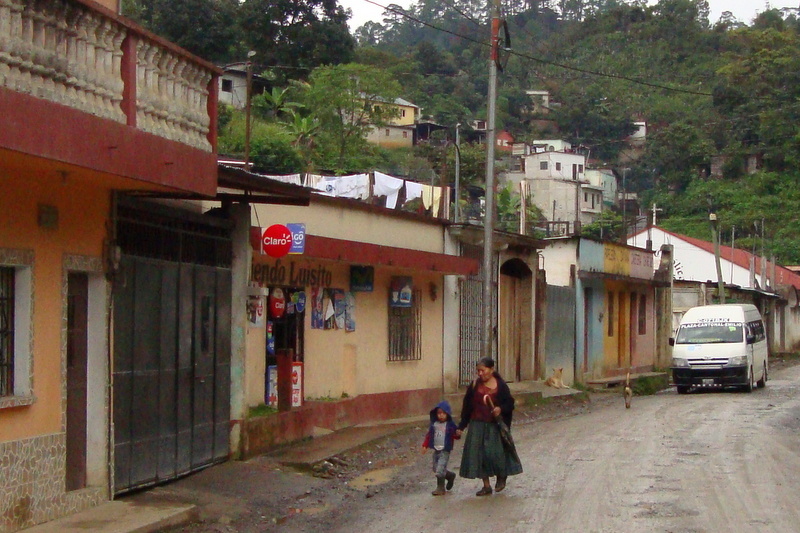 Our neighborhood in Cobán is called La Libertad, which means “freedom.” Residents, for the most part, are working poor, with an ethnic mixture of about ⅔ Q´eqchi´ and ⅓ Ladino. Small homes are crammed along 3ra Avenida, the main thoroughfare, as well as a network of narrow side streets and footpaths that climb into the surrounding hillsides. Buses crawl back and forth on 3ra Avenida, which is usually very dusty or muddy. (See photo of street in front of our house) Much of the street is unpaved, and it floods knee-deep in places when it rains hard. Most blocks feature a couple small general stores, a tortilla maker, and other assorted shops. Yes, petty delinquency is a nuisance, but fortunately organized gangs haven´t penetrated like in many other urban parts of Guatemala. Although people are quite friendly to us, long-time residents lament that the barrio’s not as tight-knit as it used to be. There are two Catholic churches, one traditional and the other charismatic. There are also three Protestant churches, and now a Presbyterian Church is under development. La Libertad´s original name was Chib’ec B’al Cho’ch,’ Q’eqchi’ for “place where the earth sinks” because of underground caverns at one end of the community. For many years it was the site of several prosperous coffee plantations belonging to German immigrants who made the native Q’eqchi’ population work their fields. During World War II the Germans were expelled from Guatemala, and the land was gradually parceled out. Local leaders decided 45 years ago to change the barrio’s name, thinking that La Libertad was simpler and had a more positive connotation. The first highway from Cobán to the Petén ran through the barrio. During Guatemala´s civil war years, military convoys would ramble down 3rd Avenue toward distant rural areas in pursuit of insurgents. Today´s scene, however, is dominated by uniformed students and workers walking briskly to schools and jobs, delivery trucks swerving around potholes, and street venders in pursuit of customers. Our family has been enriched by neighbors like Alberto Choc, a carpenter who´s faith is a blend of Mayan and Catholic traditions. He’s lived in La Libertad all his life and has kindly helped me understand its history. There´s Lencho Xol, a laborer at the Presbyterian Complex, which is under construction at the far end of 3rd Avenue. He and his wife, Aít, have become regulars in the Presbyterian congregation. This week they dropped off a rooster and 50 quetzals as a tithe. Then there´s Cristina Ca’al. She´s raising two small children on her own in a wooden room that she rents. We met her one week when thieves broke into her room and stole her belongings. Her son contracted pneumonia sleeping on the concrete floor, and was taken to the local hospital. B acilia reached out to her, and Cristina accepted her invitation to Sunday worship. Soon our families bonded, and now she joins Bacilia on Saturdays to pass out flyers about the new Presbyterian congregation. We love living in La Libertad and hope to learn much more about its history and people. Our prayer is that Christ will touch many lives here through the Presbyterian Church. May all who live in this barrio enjoy the grace that God offers so freely, and may we be free from all that might impede us from fully serving and praising God.